One of the World’s most romantic destination. For the rest, do not worry breathtaking sunsets and magic starry nights are quite always guaranteed. 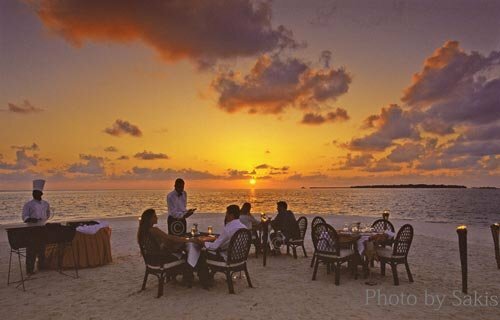 In the Maldives, these exclusive dinners are organized by almost all Hotels and Resorts. Some of them will eventually set it up at the location of your choice. To be sure you can live this moment, ask your travel agent or your hotel when you book your holidays.